The front of our Malcolm’s property featured a large hedge which was diverging from the front elevation of his property in Louth. As a result, Malcolm approached us in search of a made-to-measure carport to fit his available space perfectly. 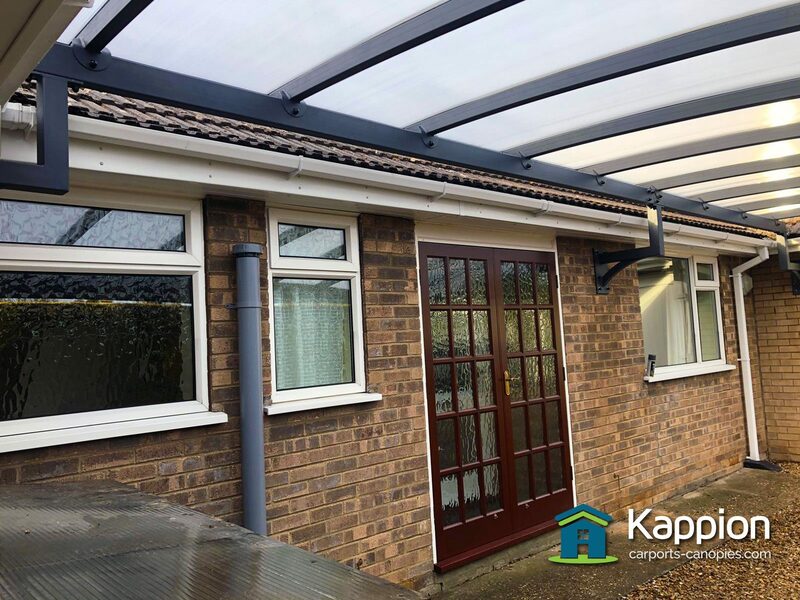 Our beautiful carport was perfect for a perfect solution and certainly the way forward. 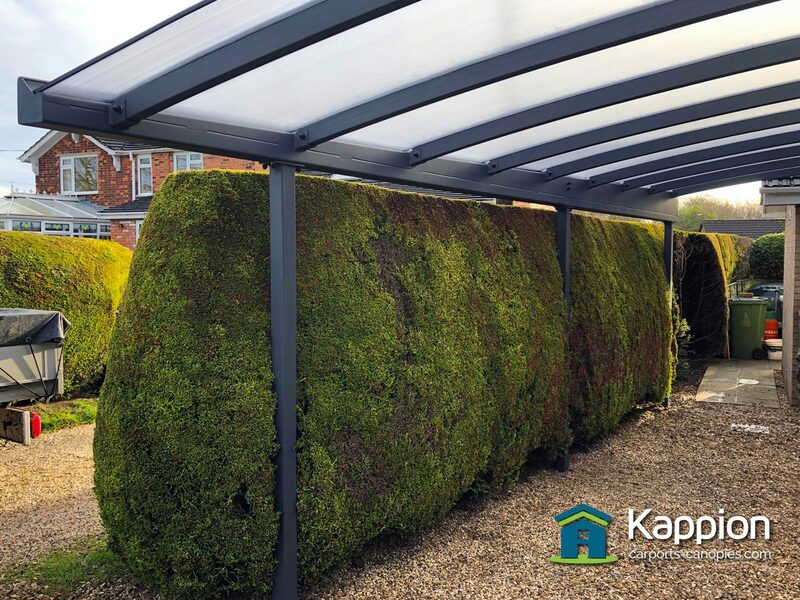 Although we aren’t local to Louth, we install carports and canopies all over England and Wales and Malcolm knew that we could equip him with the best solution. Soon after our estimate, we arranged a site survey at Malcolm’s home in Louth. The main aim was to ensure that we could provide a solution with an entrance wide enough for his car. After conducting our survey we knew that we would need cranked wall-attached brackets to attach the carport to the property. Furthermore, we would need to put the posts into the ground. Next, we used our technology and experience to calculate the varying dimensions. We determined the final design and put together a final price for Malcolm which he gladly accepted! Malcolm signed the final drawings off and wanted the structure to be powder coated in Graphite Grey (RAL7024) which would look classy and contemporary. Clear polycarbonate was chosen for the roof glazing in order to allow as much light as possible into the carport. Once a manufactured date had been confirmed, the installation team arranged a suitable date for the carport to be delivered and erected. 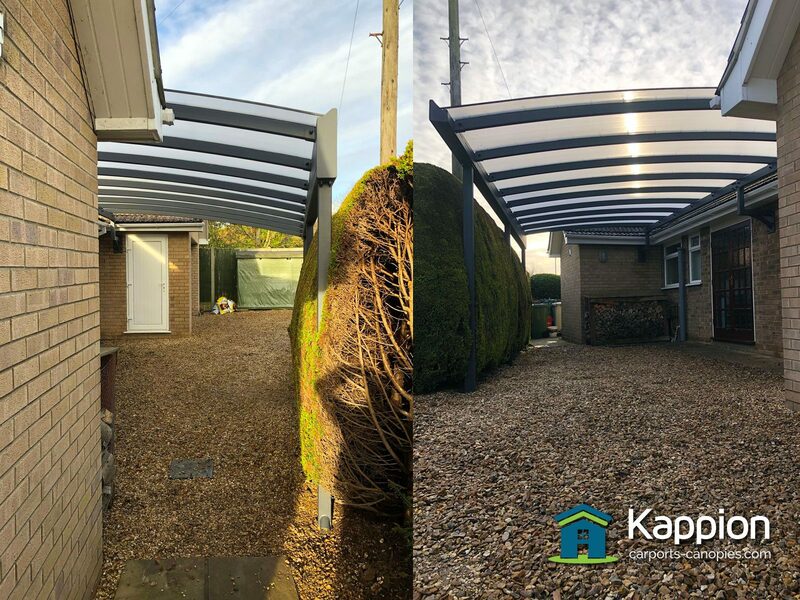 Installation of the canopy was straightforward as the canopy fitted the space perfectly and our professional team completed the groundworks with ease. Malcolm was pleasantly surprised by how quickly we erected his carport. Once installation was finished, we had a final wipe down and hand over with Malcolm, who was extremely happy with the finished product. Thinking about purchasing a single bespoke carport? If you would like more information please get in touch. If you would like to request an estimate please use our Get a Quote! enquiry page.